I picked up the August 2006 issue of National Geographic in the “Library” yesterday and it fell open to the “Great Smokey Mountains”. Their opening comments on Gatlinburg really hit a nerve because the only time I tried to make it into the National Park wasn’t planned, just a hey, we’re driving by…let just drive through. Bad mistake…after a couple of hours trying to move in traffic we were running out gas and time, so, I found a road that looked like it would get us over the mountain and on to a state highway heading north…it did, and we never looked back. The part of the article that hit home though was about the biodiversity of the area. The author spoke of a survey that was started in 1997 to count the species in the park, and the count to date is over 14,000 species. 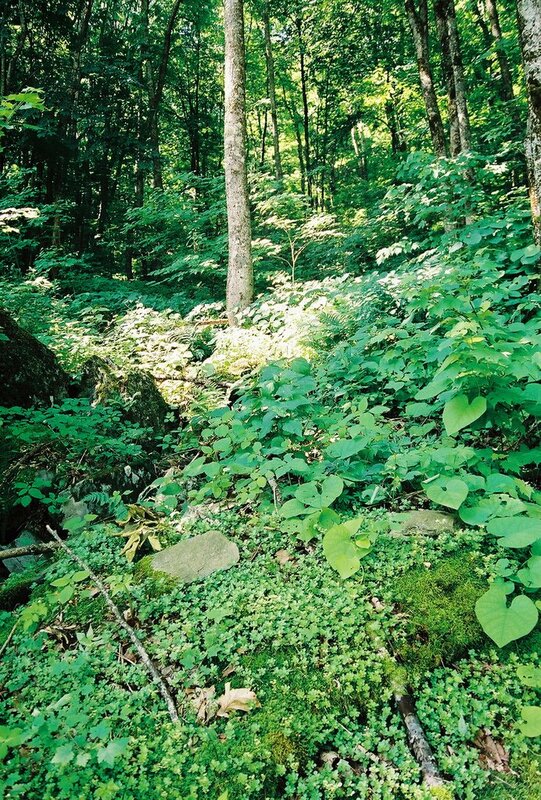 While the article deals specifically with the Smokey Mountains, it brought back the feelings I had on first entering the woods on Nettles Knob in Watauga County, North Carolina. I was raised with the normal “Texas Pride”, you know they start pouring it down our throats with the first bottle. I was always told how the Big Thicket was a cross-road of biodiversity. This always led me to assume that the number of plants and animals in this area would be one of the highest found. I remember standing in a forested cove on the side of Nettles Knob and just being awed by the number of species I was looking at around me. The article on the Smokey’s mentioned a “carpet of green” and that pretty much summed up my experience.